Do you like travelling but don’t feel comfortable without being able to speak English or another foreign language? Are you offered a promotion but the main condition is to know or to improve your English or another foreign language skills? Would you like your child to learn reading and speaking English or another foreign language for the short period of time? Do you have an opportunity to work or to study abroad and you need to prepare for an international examination? Probably everyone faced a situation, when a person staying in a foreign country where English or another language is spoken, got lost or forgot simple phrases which they learnt and as a result couldn’t participate in a conversation (do the shopping, find out about excursions, time and etc.). Why does it happen? Lack of confidence? Fear to make mistakes? Not enough time was devoted to speaking practice? Perhaps classes at school (university, language school) were held in Russian language? All these problems happen to be! But LINGVO ACADEMY is the center of foreign languages whose mission is to open students’ potential, to give freedom of communication, to help to cope with language barriers. Our teachers’ experience and their absolute dedication to foreign languages work towards your result! It is impossible not to learn a foreign language with us! 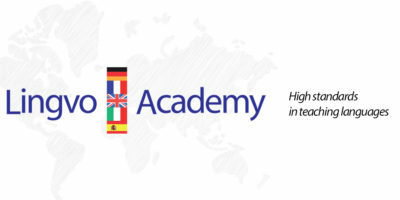 Why do students choose LINGVO ACADEMY?